Deep-sea adventures comes to your fridge! 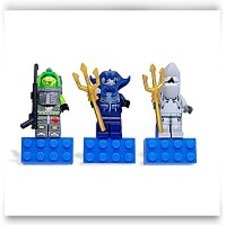 Magent set includes Lance Spears deep-sea diver, Manta Warrior and Shark Warrior. Ages 6+. Magnets stick to your fridge door! 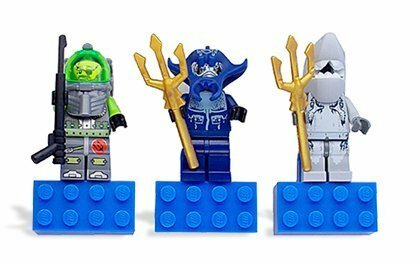 Authentic minifigures that detach from magnets!